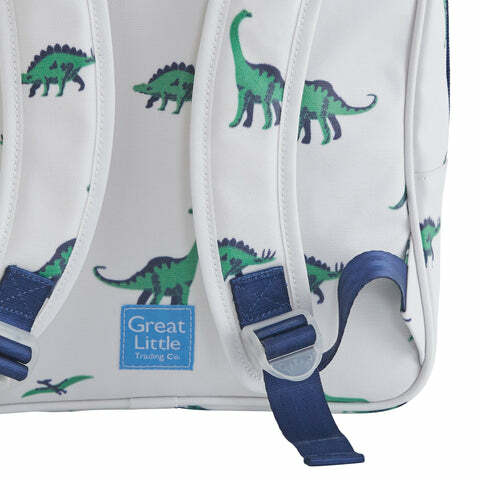 Child's Backpack, Dinosaur | Great Little Trading Co.
We know that with some children (and adults) dinosaurs do tend to become an obsession. 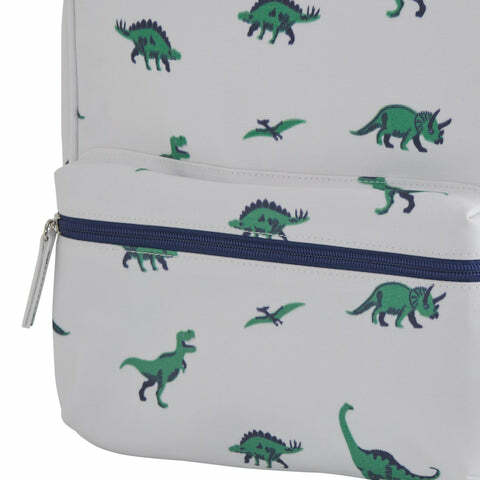 So just go with the flow and embrace the Dino Love with this cute-as -a-button backpack... Resistance is futile. It's made from sturdy, wipe-clean oilcloth and features a zipped front pocket, an internal net pocket, adjustable shoulder straps, a hanging loop, plus large, easy to pull zip tabs.